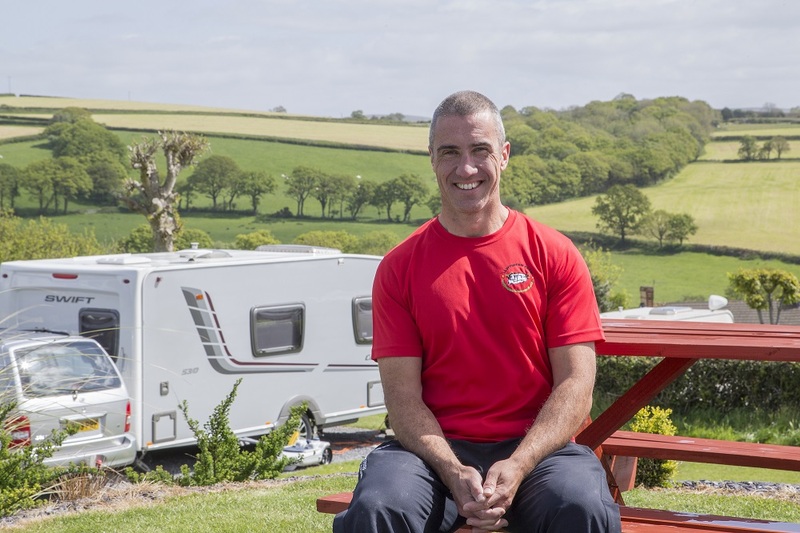 Hywel Davies is the owner and manager of South Wales Caravan Park in Llanelli, Carmarthenshire. His parents started the park in 1978 and Hywel has lived on the 15 acre site since he was three years old. Hywel and his sister Cathrin took over the park four years ago and continue to improve the farm and its facilities each year. How do you see the UK holiday industry at the moment? In Carmarthenshire alone Tourism is worth £350 million. It is taking over farming as the most important industry in the area. Our county is getting its name out there and I have no doubt there will be changes soon in Local Authority boundary locations in Wales - I just hope that whichever way it goes that the good work will carry on. What are the main challenges facing the industry and how are you meeting those challenges? Our main challenges are rising fuel and electricity costs. We are currently looking into installing solar panels and heat pumps to warm water and facilities. If you had to identify one element, what is the most crucial aspect to the success of your business? Good customer service. I trained at Walt Disney World in Florida and from my days there I soon realised that exceeding all my guests’ expectations is the way to succeed. Has it been a good year so far for South Wales Caravan Park? It has been excellent year so far. We are lucky as we only have 25 pitches to fill in total, which is much easier to fill up than a few 100 pitches. Word of mouth, a couple of awards and repeat visitors are helping us a great deal. Becoming an adult only park. When we made the decision just over two years ago, we were worried if it would work out but it has been the best decision and best experience we have had so far. “Never miss an opportunity to market your business” - it was given to me by my father. We wear our Llwynifan Farm branded t-shirts and hoodies everywhere and even our hand towels in the ladies and gents toilets are branded! Our park isn’t going to grow further, but I would like to improve our offering and facilities. Each year we like to do one big project to improve our offering. My partner and I drive to Italy usually towards the end of September for a week or two, and I leave my sister in charge of the park. I wish everyone a good season and hope we all have a sunny successful summer.